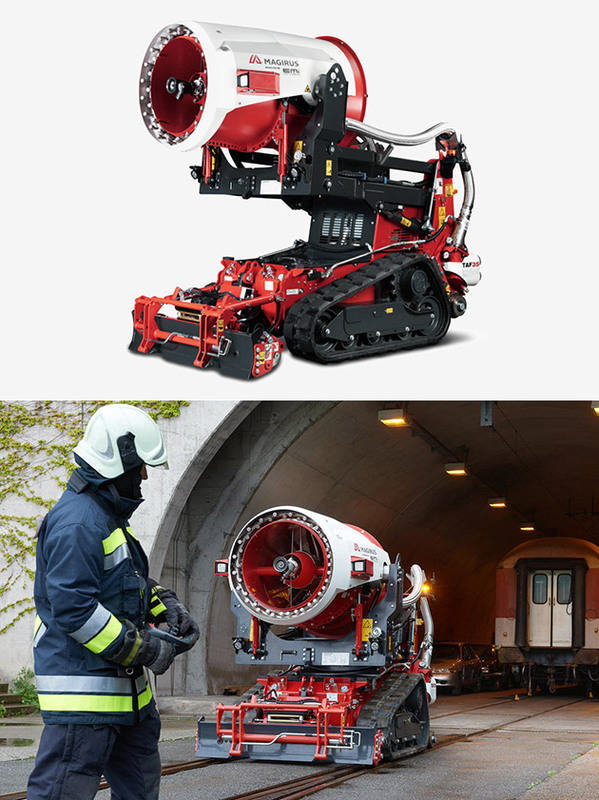 The Magirus AirCore Fire Extinguishing System is basically a jet-powered, fire-fighting robot that can be controlled remotely by a single operator from up to 500-meters away. 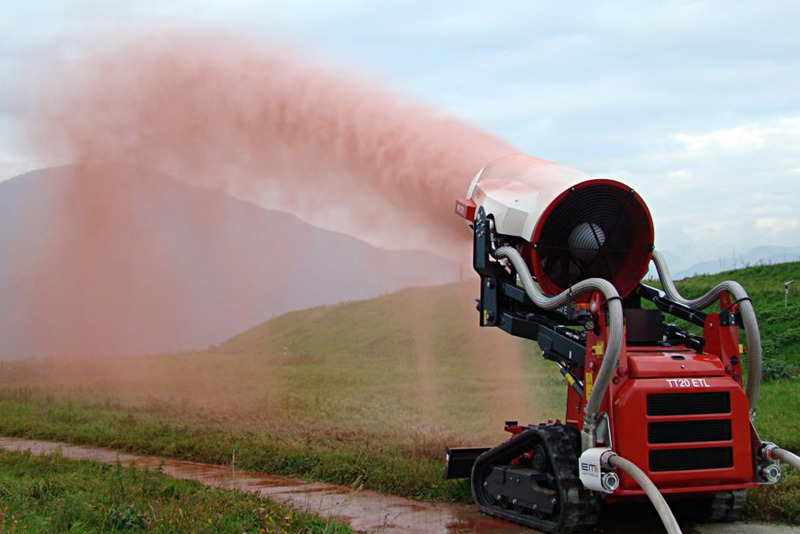 Offering two effective modes of extinguishing flames: high-water flow and water mist, with the former being capable of blasting 3,500 liters a minute as far as 80 meters. The water mist mode projects up to 1,500 liters of water per minute up to 60 meters away. Continue reading for another video, more pictures and additional information. 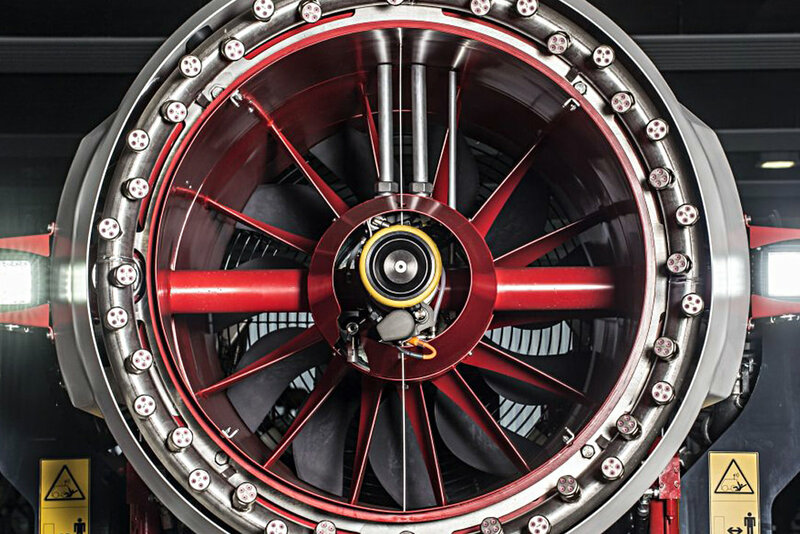 “With its hunt-and-kill design, it can attack fires continuously as they move and also clear out smoke with its turbine fan. 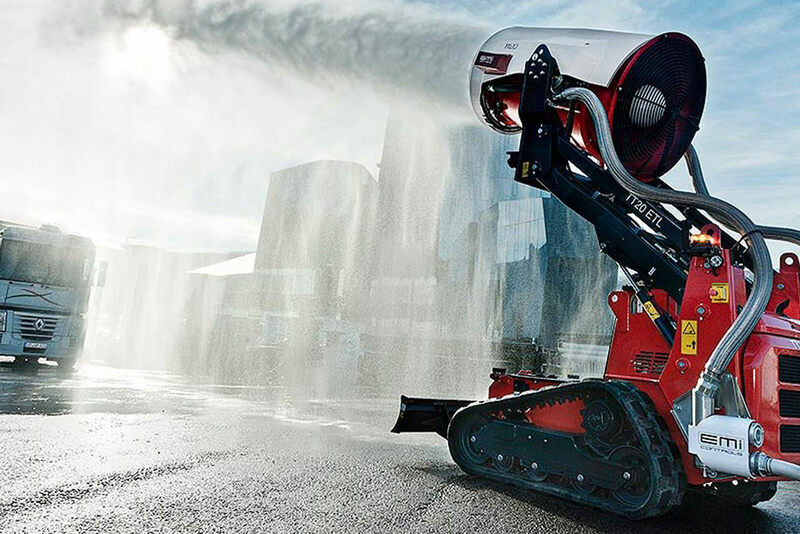 This beast has a 65-horsepower water-cooled motor with an operation time of five to seven hours on a single tank and even has a bulldozer blade to sweep away obstacles. This rolling monster is a firefighter’s best friend,” reports Hi Consumption.